A thinner sauce, sweet with a vinegar twang, good for any kind of meat. 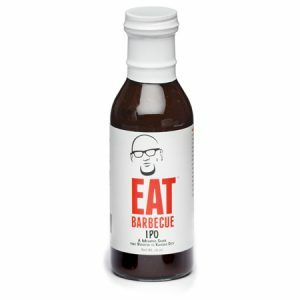 The best way to describe IPO is how it got here…a young, impressionable barbecue sauce made a road trip through Memphis and the Carolinas, and ended up in Kansas City where all good sauces are born. Twelve years in the making, IPO is the first product Rod developed for sale. It’s also the sauce that made Rod a national champion and the country’s best pork rib cook. 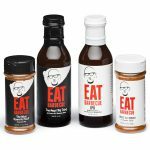 It is only natural that one of the country’s top barbeque teams hails from Kansas City – the city best known for its barbeque. Rod & Sheri Gray began competing as Pellet Envy in 2001. 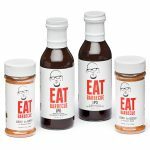 In addition to being the pit masters of a national championship barbeque team, Rod & Sheri cater, teach, and promote barbeque as America’s cuisine.